A bar of soap can be so boring. So why not make it elegant and personal. 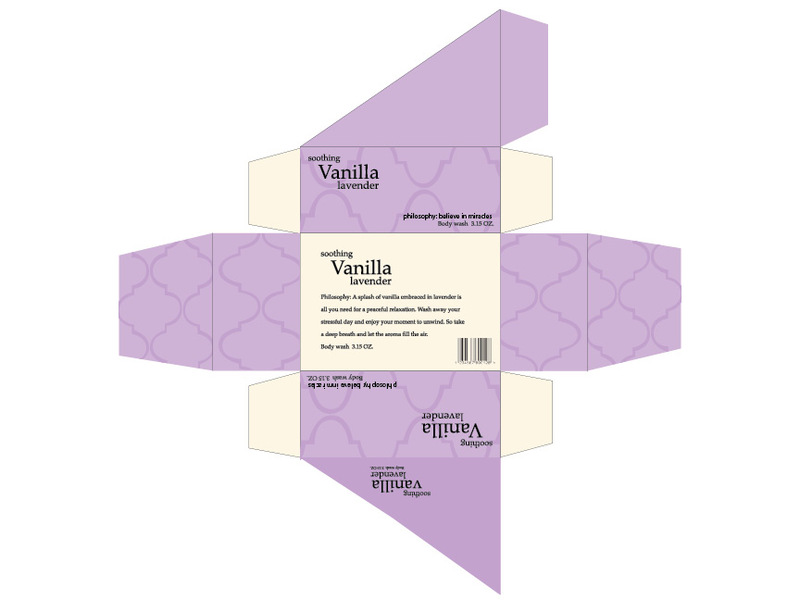 This package was created for the scent Soothing Vanilla Lavender. The packaging is very light and delicate to relate to the name of the soap. 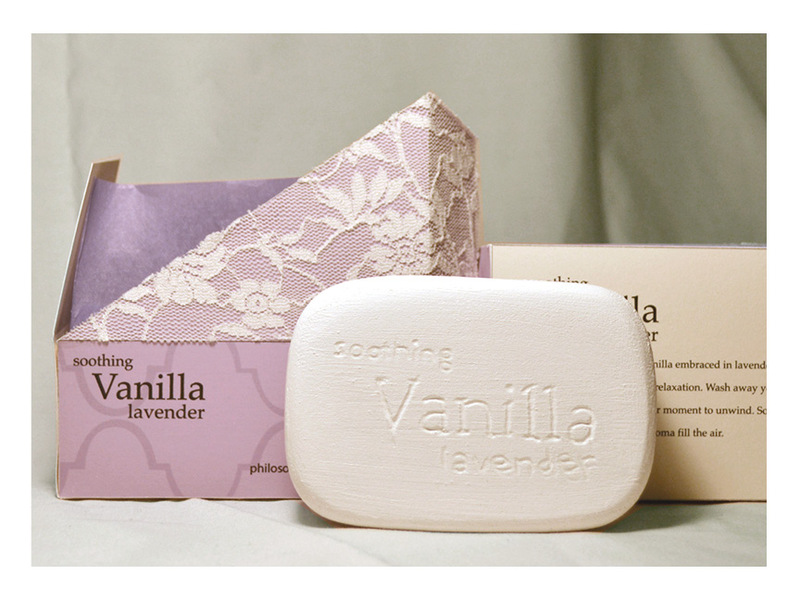 Soap is a personal product why not give that product in a personal package.